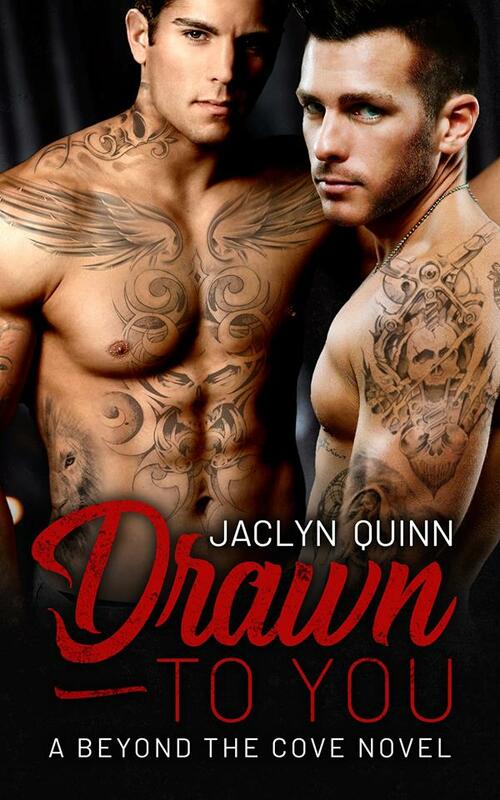 If Jaclyn Quinn wasn't already on my list of go-to authors after discovering her through her Haven's Cove series earlier this year, she'd definitely be added to it because of Drawn to You, the first novel in her spin-off series, Beyond the Cove. There are cameo appearances from Jonah Taylor and Cameron Vaughn--whose own happily-ever-after played out in the third Haven's Cove book, Hard to Hold--and the rest of the Taylor clan do have a presence in this new series starter since Elijah Taylor is Jonah's brother, but Drawn to You can be read as a standalone nonetheless (but this is me officially encouraging you to read the Haven's Cove series because it's one of my favorite finds this year and absolutely one of my best for 2018). It's angsty but with a fair amount of lightheartedness so anyone fearing that this may be too heavy a read need not worry. Just read it already, people! Set in the New Jersey town of Brighton Pier, Drawn to You introduces readers to twenty-eight-year-old Elijah Taylor, a tattoo artist working at Inkubus, a tattoo studio owned by thirty-five-year-old Jake Novak. Moving away from his home state of New York and his close-knit family was made easier after Eli started working at Inkubus two years ago, having formed strong friendships with his fellow artists. What they don't know, however, is that he and Jake started hooking up ten months ago, but while Eli wishes they could have more, Jake has made it very clear that he isn't hoping for the same thing. In order to spare himself more heartache, Eli may be forced to make the painful decision to simply cut all ties--personally and professionally--but then Jake is hit with a devastating loss, and while he's got a strong support system in his friends, it's Eli's presence that he needs to lean on most. However, is this nothing more than a repeat of being Jake's temporary fix, or could this actually be a true chance at "more" for Eli? Purchase Drawn to You on Amazon.